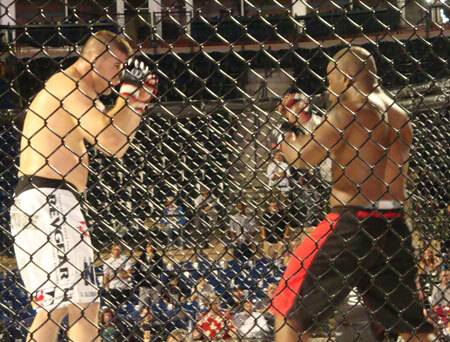 May 15, 2010: Revgear fighter Mark Crawn picked up his first professional MMA win in Lexington, KY at Last Man Standing: Bluegrass Bragging Rights. He defeated Richie Mayes by TKO in the Round 2. Crawn was repeatedly striking Mayes with elbows to the head and knees to the body in the clinch, and Mayes verbally submitted, giving Crawn the victory.